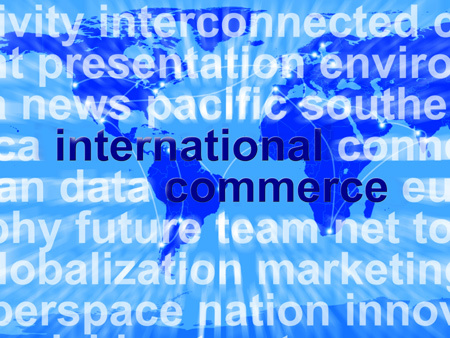 The International Chamber of Commerce (ICC) and International Enterprise Singapore (IE Singapore) have today launched a groundbreaking partnership between business, government, and higher-education institutions to support skills development in the areas of international trade and financing. The International Trade Associate Programme (ITAP) will give students at four leading Singaporean polytechnics the opportunity to gain industry-accredited professional certification, together with tailored career development opportunities, through internships and outreach activities such as career talks and roadshows. The programme has been developed to help meet the growing need of companies and banks for skilled employees in trade-related roles. ITAP is also supported by 17 companies from the trading and financial industries, including Bunge, Charles & Keith, Chinese National Offshore Oil Company, IKEA, DBS, Dole, INTL FC Stone, Kaybee, Lobb Heng, OCBC, Raduga, Sing Lun, Sportmaster, Texline and Valency, and Wilmar. 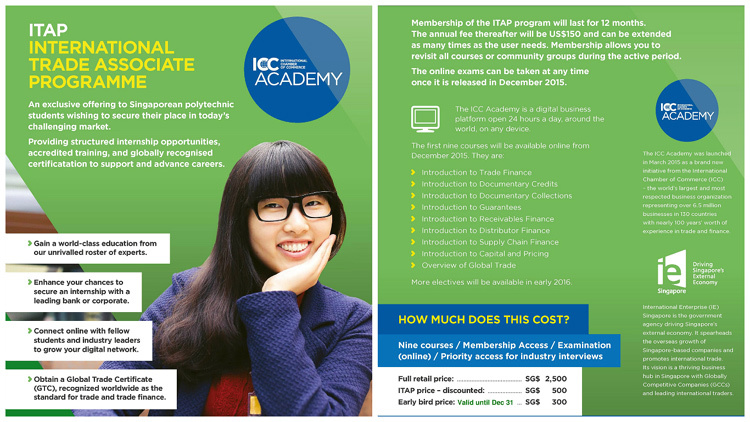 Students enrolling in the programme will take courses under the ICC Academy’s newly-launched Global Trade Certificate, which provides a comprehensive understanding of trade finance products —from letters of credit through to supply chain financing techniques. The programme is specifically designed to build up the required skills of the workforce through relevant and practical business education. The ITAP forms an important part of IE Singapore’s efforts to build workforce skills for the economy of the 21st Century.